A lot of people do not yet know about the YouTube TV which is an innovative and clever method of watching your favorite cable TV programs. YouTube TV lets you stream your favorite TV programs live on your television. Some popular cable networks which you can stream live on your TV include ABS, FOX, CBS, ESPN and NBC. One of the best things about YouTube TV is you can actually stream your favorite programs and also record them with having to need a storage space. And if you’re a family person, members of your family can also enjoy free streaming hassle free. It is only available in the United States as of the time of writing this article. 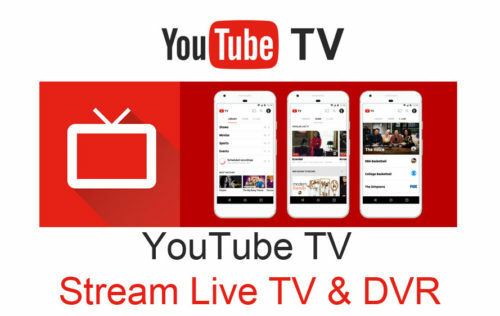 If you would like to know if you state is among those which is allowed to view YouTube TV visit tv.youtube.com/tv/availability. You can record as much of your favorite TV programs as you want without having to run out of space to store them all. Being a member of the YouTube TV community, you have the unique chance of sharing with up to 6 different people. This is made possible as a result of the 6 accounts that come with being a registered member. You will be able to stream your cable network content while you’re traveling within the US. The devices which you can watch YouTube on TV includes certain smartphones, Apple TV, Android TV and Chromecast devices. When recording, however, the program will only be made available for 9 months after with it will cease to exist. The only way to watch YouTube live TV is to download the YouTube TV app. TV programs which you have recorded will be stored in the cloud, therefore, making you have unlimited videos at the same time. A lot of people are not yet aware of the whole concept of YouTube TV and how to use it. The crux of the article is to teach or educate people on how to make use of YouTube TV without relying on someone else. To be able to enjoy watching live Tv shows you have to be signed in. Signing into Youtube Tv requires your Gmail Login process as will all know that both platforms are owned by Google. once you have signed into your Youtube Tv account you can click on the try free to see how it works. Note that this platform is available for users in a particular region. Once YouTube TV app has been launched on the device you wish to use, the first of the navigation page which will be shown is the YouTube TV home. Here, you will able to view all the YouTube videos at available at glance. The YouTube videos shown to you on the home page are based on the kind of videos you previously watched on YouTube.com. Here, you will see shows which people in your immediate location are demanding as well as live TV shows and YouTube videos. The live navigation page is where you get to see all the YouTube live TV show, programs, and series. Here, you can move from network to looking for your favorite TV programs which are currently live. A unique picture of this live page is that you can view additional information about the program, store the program in your library for later viewing and also to the page of the network which is broadcasting the program. On YouTube TV library, you get to view all your recorded YouTube series, YouTube movies, and YouTube news. Here you get to see networks watched the most by YouTube online TV users, recently recorded videos and your videos which are scheduled to be recorded later. The YouTube online TV search bar is the icon which looks like a magnifying glass. You will be able to search for YouTube sports, YouTube videos, YouTube series as well as networks. Searching is relatively easy all you have to type in the keywords of the YouTube videos you want to watch and hit enter. tv.youtube.com makes it easy for anyone to search for YouTube movies and YouTube live TV channels. It does this by allowing users browse by the type of program being offered or browse using the network name as criteria.